Welcome to Treehouse Realty Va ! As some of you may know, at this point in my career I have decided to rebrand Wanda Fears as Treehouse Realty VA! I am really excited about this new transition in my career. I have been lucky to have success come along with my hard work and while at 63, I still take the bull by the horns, so to speak, it is important to me to hand down my knowledge and expertise to the next generation of Realtors! I hope that by rebranding as a team, they can use my experience to their advantage and find success of their own! Excellence is not only the standard of Treehouse Realty, it is our passion. Welcome to Treehouse Realty VA! Treehouse Realty, A Long and Foster Group has over 14 years of experience in real estate. Our group is recognized as Distinguished Achievers by the Richmond Association of Realtors and by Long and Foster as top 10 team, as well as a Long and Foster Gold Team for 13 out of 14 years. 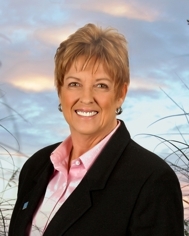 The lead realtor, Wanda Fears, is a Certified Residential Specialist – a designation only 4% of agents possess. Wanda’s CRS designation is a symbol of real estate excellence and a commitment to continuing education in the field. As a graduate of VCU’s marketing program, Wanda understands the importance of employing a strategy that ensures your property has the maximum exposure. We employ a team of distinguished professionals including stagers, HDR photographers, and a social media director to employ technology to its fullest to publicize your home. Our social media director ensures that your listing is visible on popular online real estate databases such as, Zillow, Trulia, and Realtor.com among others. We also promote properties and neighborhoods through our Active Rain blog, which is consistently ranked high in the Richmond area, as well as our multiple Facebook pages and groups. Treehouse Realty’s marketing strategy delivers proven results. Our listings averaged only 29 days on the market, with many selling in the first few days. Our team has sold over 400 homes in the Richmond area, averaging over 55 sales per year. Last year Treehouse Realty achieved $12 million in sales, a 30% increase over the previous year. Treehouse Realty is poised to break records again in 2016. The Treehouse Realty team is also actively involved in the community and many charities. Our team has volunteered and supported the SPCA, Feedmore, Dress for Success, Caritas, Diversity Thrift, and Virginia Breast Cancer Fund to name a few.